Halo fans, rejoice – Bungie and Activision have announced those that pre-order Destiny will get early access to the game’s beta program. 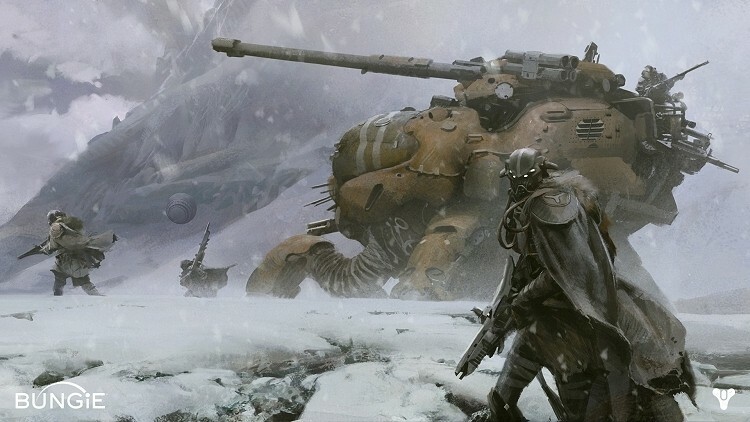 The game is expected to launch sometime in 2014 but the beta will arrive next spring according to a joint press release from Bungie and Activision. Specifically, those that pre-order the game from retailers like Amazon and Best Buy will be among the first to play. Retailers are handling the process of sending out beta invites instead of Bungie or Activision and this is a limited-time offer. Once pre-orders surpass a certain threshold, the offer will be suspended. The beta will be available for current platforms like the PlayStation 3 and Xbox 360 as well as next generation consoles from Sony and Microsoft. Once a buyer has pre-ordered, they will receive a code that can be redeemed on Bungie’s website. Some lucky gamers have already gotten their hands on early builds of the game. Back in March, Bungie invited beta testers from around the globe to help get the game ready for next year’s release. This week has been packed full of Destiny marketing. On Monday, the box art for the game was released and just yesterday, a new gameplay trailer hit the web. The footage shows a destination that a lot of fans have been asking to see. Bungie unveiled the post-Halo franchise during a special media event held at the company’s studios in Bellevue, Washington, back in February. The game pits players as Guardians of the last remaining city on Earth as either a Titan, Hunter or Warlock.